I am looking for a pet chameleon for sale. How should I go about buying one? -Research is the number one most important thing to do before buying a chameleon. Caring for a chameleon is a big responsibility and not something that should be taken lightly. The first thing you will want to consider is what species of chameleon are you looking to buy? Where does that species originate from? What is the temperature, humidity, and rainfall like in those locations? How frequently is the species you are looking at buying kept in captivity? How much reliable information is available about the keeping of that species in captivity? -What to buy is very important when looking at buying a chameleon. You will want to look at the different types and quality of cages. Will you purchase a pre-made cage or build a custom one yourself? How much and what type of equipment you will need can vary based on what species of chameleon you are planning on purchasing. If you are purchasing a panther chameleon from us we highly recommend you visit our care and feeding page. You are likely going to need a large cage, mister, foliage, plants, vines, sticks and more. -Where you buy your chameleon can have a huge impact on your success as a chameleon keeper. You can find chameleons for sale at pet stores, reptile shows, private individuals, rescues, large scale breeders, and small scale breeders. 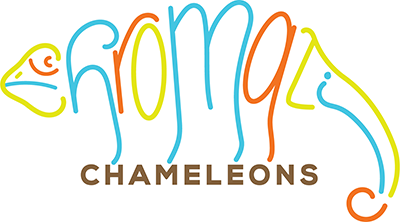 We highly recommend purchasing your chameleon from reputable breeders who will be available to help you with any questions you may have. Breeders that have a reputation for having quality animals is a much better resource for buying your chameleon than from somewhere that may not even be educated on their proper care. -The age of your new chameleon is important. You will want to purchase a juvenile (3+ months of age) or a young adult (under 2 years of age). Chameleons that are too young or too old can be risky and high maintenance to keep healthy. -If you are looking for only a pet, then often a male chameleon is better suited to being a pet than a female chameleon. This is not to say that females cannot make great pets, we absolutely love our girls. Males are simply usually the more colorful, and females require greater care including lay bins for when they lay their eggs. Female chameleon lay eggs whether they have been bred or not so they must be provided with a lay bin. Males also tend to have a longer life span. We utilize Fedex Priority Overnight Shipping which means your chameleon will arrive at your nearest Fedex Hub or at your home by 10:30am the morning after we ship your chameleon. We place your chameleon in their insulated box and include a heating pack or cooling pack if the weather requires it to make sure your chameleon arrives to their new home happy and healthy. Your chameleon is used to sleeping during the majority of their shipping hours and since it is dark in their shipping box most chameleons just sleep on their way to their new home. Then they wake up upon coming out of the box at their home. How many chameleons can I keep in the same cage? Only one. Panther Chameleons are solitary animals that live on their own their entire lives only coming together to mate. Even males and females will stress each other out a great deal if forced to live in the same cage together. What lights do I need to have? Panther Chameleons need to have a linear UVB bulb and a heat bulb. We highly recommend Arcadia bulbs for your linear UVB bulb. Heat bulbs can just be regular 65 watt flood lights in a ceramic heat light fixture. The two most popular staple feeder insects are crickets and Dubia roaches. We also recommend feeding silkworms, super worms, stick insects, praying mantic, grasshoppers, green banana roaches, and hornworms and waxworms as a treat. Just as important as the insects you feed your chameleon is what the insects eat before they are fed to your chameleon. You will want to gut load your feeder insects with Repashy Bug Burger and/or fresh vegetables like collard greens, mustard greens and carrots before feeding them to your chameleon. We highly recommend using Repashy Calcium Plus. Just a light dusting at each feeding has been very successful for us. Can I use real plants in my enclosure? We definitely recommend live plants. They help to maintain better humidity in your enclosure and also hold water droplets better than fake plants. Here we use golden pothos, bromeliads, umbrella plants, and ferns. How much do I need to mist? If you are hand misting you will want to make sure you are available to hand mist your panther chameleon at least 3-4 times a day. We highly recommend using an automatic misting system to keep you chameleon well hydrated and their humidity at appropriate levels. If my chameleon is by a window do I still need to have lights? Yes! Windows filter out a lot of the UVB that is vital to your chameleon’s survival and health. How much should my panther chameleon be fed? When you first get your panther chameleon as a baby at approximately 3-4 months old you should offer as many small crickets and roaches as they will eat in a day. There is no need to limit food at this age. When your panther chameleon reaches the juvenile stage at approximately 6 months you will want to limit your chameleon to approximately 12 crickets every other day. When your panther chameleon reaches adulthood at approximately 12 months of age approximately 10 crickets every other day is sufficient. How do I tame my panther chameleon? It is important to understand that panther chameleons are not dogs or cats. They are solitary creatures in the wild and therefore do not have much use for a lot of human contact. To help get your chameleon used to you it is important to not try and force your chameleon to interact with you. This will only serve to make your chameleon more afraid. We have had the best luck with only handling our chameleons very infrequently. This allows them to see us and get used to us, without them having to fear us reaching into their enclosures and grabbing at them. You can have a lot of fun with your chameleon by hand feeding them some of their favorite foods. Our panther chameleons tend to love super worms and hornworms fed from our hands. You can also have more fun with your panther chameleon by building them a “free range” habitat outside of their enclosure.